Because girls can play with cars too. this little set of cars has been kind of a long project in the making. i drew them and grandpa cut them out a few weeks ago. 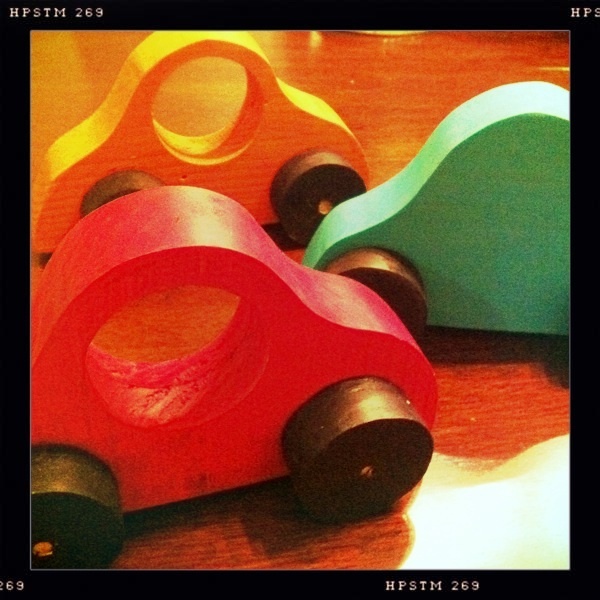 and since then there’s been sanding and painting and touch-ups, but now, audrey has a set of handmade girl cars. i love them, the sound audrey makes when she pushes them around, and having done it all with my dad.